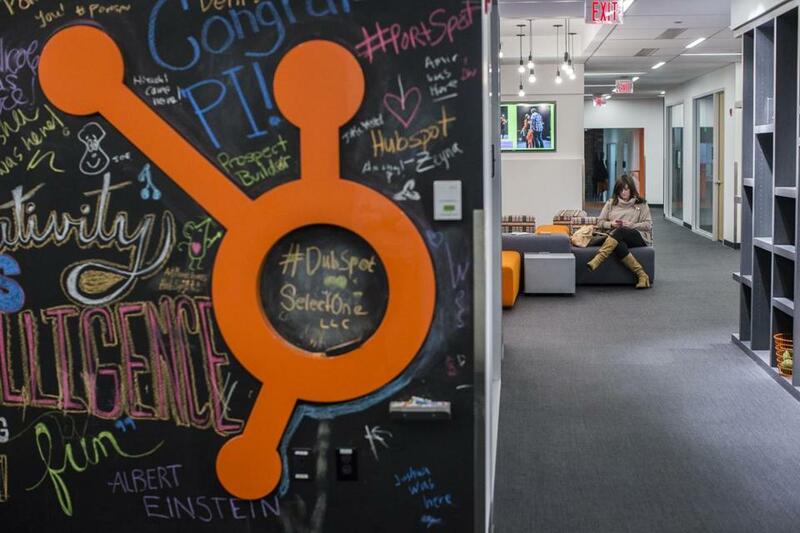 Employees worked in HubSpot’s Cambridge office. The book that prompted an ethics scandal at HubSpot Inc. months before publication is about to be released, and it’s an unflattering portrait of the Cambridge software company as a hard-driving workplace full of old-fashioned office politics and backstabbing. But “Disrupted: My Misadventure in the Start-Up Bubble” doesn’t offer up any bombshells about employees’ personal lives or corporate dirty tricks. And that’s sure to raise even more questions about why company officials allegedly went to extreme lengths to pursue a draft before the book was published. “Disrupted,” set to hit stores in April, is the work of Dan Lyons, a Winchester-based author and longtime journalist who has written for the HBO series “Silicon Valley.” The book chronicles his roughly 18 months working at HubSpot as a “marketing fellow,” a job that, in Lyons’s retelling, didn’t turn out how it was advertised. HubSpot also said a vice president, Joe Chernov, resigned before the company could determine whether he also should be fired. Chief executive Brian Halligan was fined for failing to promptly alert the company’s board after finding out about the incident. HubSpot turned the results of its internal investigation over to federal authorities, who opened a criminal investigation that involved an FBI cybercrime agent. Lyons said the Boston US attorney’s office informed him last year that it would not bring any criminal charges. He still isn’t aware of what actions HubSpot employees may have taken in attempts to get hold of the book. But his book discloses some oddities with his personal laptop and software services, including notices that someone had attempted to log into his Twitter and Gmail accounts and a warning from a friend that HubSpot was monitoring his Facebook activity. “I shut down my MacBook Air and never touched it again. I bought a new MacBook and changed all the passwords on all of my accounts. But I still did not feel safe,” Lyons wrote. There’s another big question about the entire episode: What did Lyons know that would have spurred a top executive to lose his job? Lyons said there were some unspecified examples of corporate intrigue and personal gossip that he chose to leave out, partly at the insistence of publisher Hachette Book Group. “I can say confidently that the scenes described to us from the book are not reflective of the experience the vast majority of our employees have had during their careers at HubSpot nor do they represent the experience we strive to create for our employees,” he said. Chernov and Volpe declined to comment. Lyons’s book uses his time at HubSpot as a lens to critique the larger technology industry, with companies racing to become “unicorns,” privately held tech firms with stock valued at $1 billion or more, before ever turning a profit. HubSpot is portrayed as a hard-working place filled with young people, who bring the expected touches of frat-house behavior: office hookups, a vomit-filled bathroom. But most of the bad behavior described in the book is decidedly bureaucratic. HubSpot makes its money selling software that is intended to help businesses market themselves online by publishing blog posts and other materials that can attract prospective customers more effectively than traditional advertising. At the same time, HubSpot runs what Lyons describes as an old-fashioned “boiler room” where young sales representatives relentlessly call potential customers and run through persuasive scripts in order to close a sale. The element of age surfaces several times in the book — Lyons was attempting to remake himself in marketing in his 50s after a career in journalism ended with an unceremonious layoff from Newsweek. In Chernov, Lyons writes, he thought he had found a friend who had similar skepticism about HubSpot. But after some personal missteps that Lyons saw as very minor, he writes that Chernov tried to manage him out of the company with constant, brutal criticism. Lyons acknowledges that he may not be a sympathetic victim. After all, he took a high-paying job at a hot tech company, got stock before its initial public offering, and sold a book that criticizes his former co-workers. But he said his critique is more than a list of personal grievances and is relevant in part because of the growing power of tech companies, which collect vast amounts of data about consumers and users.